In this video, a Pennsylvania voter shows how the voting machine misinterpreted Obama votes as Romney votes. I initially selected Obama but Romney was highlighted. I assumed it was being picky so I deselected Romney and tried Obama again, this time more carefully, and still got Romney. Being a software developer, I immediately went into troubleshoot mode. I first thought the calibration was off and tried selecting Jill Stein to actually highlight Obama. Nope. Jill Stein was selected just fine. Next I deselected her and started at the top of Romney’s name and started tapping very closely together to find the ‘active areas’. From the top of Romney’s button down to the bottom of the black checkbox beside Obama’s name was all active for Romney. From the bottom of that same checkbox to the bottom of the Obama button (basically a small white sliver) is what let me choose Obama. Stein’s button was fine. All other buttons worked fine. I asked the voters on either side of me if they had any problems and they reported they did not. I then called over a volunteer to have a look at it. She him hawed for a bit then calmly said “It’s nothing to worry about, everything will be OK.” and went back to what she was doing. I then recorded this video. Meanwhile, in one precinct in Wynnewood, according to NPR, voters were turned away if they did not have photo id despite a Pennsyvlania Supreme Court ruling staying implementation of that law. State Rep. Babette Josephs is calling on the state’s top law enforcement official to investigate the Department of State and all 67 county elections boards for the widespread irregularities many voters faced Nov. 6. As Democratic chairwoman of the House State Government Committee, which oversees election law, Josephs and others will discuss her petition and the number and type of issues voters experienced on Election Day at noon Wednesday, Nov. 14 in the Capitol Media Center. From reports of electors not allowed to vote even though they had voted for years, to faulty machines and the dissemination of misinformation, Josephs said it is clear there were problems at both the state and local level, and it is important to find out how these incidents happened and to learn from them. “If we are to preserve freedom in these United States, we must learn from these problems,” Josephs said. Those also expected to attend Tuesday’s news conference are people who have experienced trouble voting and will tell their stories. The Southeastern Pennsylvania chapter of the Americans for Democratic Action (ADA) awarded three veteran progressive women activists at a ceremony held in the home of Bruce and Carol Caswell in West Mount Airy, Philadelphia, on Saturday, October 13, 2012. The honorees were State Representative Babette Josephs, City Council member Marion Tasco, and Shelly Yanoff, Director of Public Citizens for Children and Youth. Attending the event were such local political figures as State Representatives Cherelle Brown, Mark Cohen, and Vanessa Brown; City Controller Alan Butkovitz; City Commissioners Chair Stephanie Singer and Commissioner Al Schmidt; and City Council members Maria Quinones-Sanchez and Bill Greenlee. The Southeastern Pennsylvania chapter, added Norton, “has played an equally prominent role in the establishment of our City Charter, in the Rizzo Recall movement, the election of W. Wilson Goode as our city’s first Black mayor, the Casey Five campaign to elect reform judges to Commonwealth Court, and the successful campaign to prevent the takeover of public schools by a for-profit company, among other things. 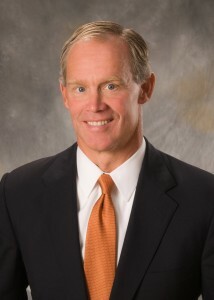 House Majority Leader Mike Turzai (R-Allegheny) told the Republican State Committee that Voter ID will allow Romney to win PA. The new voter ID law is proving costly for both the Commonwealth and Republicans. First, the Department of State announces it will spend $5 million to ‘educate’ citizens on voter ID and then House Republican Leader Mike Turzai admits that voter ID was enacted to help out Republican presidential candidate Mitt Romney. Pro-Second Amendment? The Castle Doctrine, it’s done. First pro-life legislation — abortion facility regulations — in 22 years, done. Voter ID, which is gonna allow Governor Romney to win the state of Pennsylvania, done. Thousands of people are being forced to greatly inconvenience themselves and waste time their time and money to get the proper identification in order to vote. We warned that all of this would happen. Now it is. How much more proof is needed that voter ID is bad for Pennsylvania? When the law was being considered by the General Assembly, Republican fiscal analyses estimated that its cost of outreach could easily be absorbed by the $3.8 million in federal Help America Vote Act funds held by the Department of State. However, the department recently announced that it was planning to spend $5 million on robocalls and other public outreach tools. I’m not questioning the need for and importance of outreach, but the Commonwealth is planning to spend at least $1.2 million more than what Republicans said was needed. That doesn’t take into account additional outreach that might be necessary or what the state Transportation Department is spending to provide free IDs. The Democrats said that some $11 million would have to be spent year in and year out, and it seems we were right. But this is an enormous leap into fiscal irresponsibility by the Corbett administration and the Republican majority in general. In the face of important people needs like a job or quality education for their children, clean air and safe drinking water, treatment for behavioral diseases and physical conditions, law enforcement and public safety, not to mention support for the poor, the hungry and the vulnerable, spending this money to fix a political problem that is facing Republicans is unconscionable. It is clear to me that the Corbett administration fears the lawsuit brought by the NAACP, the ACLU and others. They want to prove the allegations are wrong, but Mr. Turzai, their House majority leader, has undercut their efforts with a single sentence. He said publicly what the law’s opponents have been saying all along — that this is just a voter suppression bill and a way to keep the citizens who vote Democratic away from the polls. I don’t believe the Republican majority will be successful in bamboozling the court or undermining the state constitution. The more people who participate in the election process, the better the outcome. I believe that through the judicial system and the voices of the citizens, democracy will be restored to Pennsylvania and we will see what the citizens really want when all the votes are cast in November and beyond. The letter from the Department of Justice can be found on Talking Point Memo. 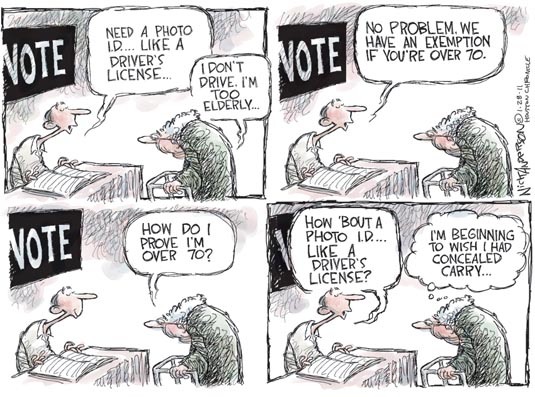 Meanwhile in Pennsylvania, Governor Corbett fails to provide proof of the alleged voter impersonation fraud while he continues to push for voter ID laws which will exclude many eligible Pennsylvanian from their right to vote. State Rep. Babette Josephs (D-Philadelphia) has written a second letter to the governor, this time blasting the “nonresponse” she received from the governor’s aide and again asking the governor for evidence of voter impersonation fraud. Josephs, Democratic chairwoman of the House State Government Committee, sent Gov. Tom Corbett a letter in October after reading a newspaper article in which Secretary of the Commonwealth Carole Aichele signaled her support of legislation to require voters to provide photo identification. She said the bill would make it harder for someone to commit voter impersonation fraud. In her initial letter, Josephs pointed out to Corbett that Aichele’s remarks were missing one important point: any evidence that voter fraud has occurred. She asked Corbett to provide the number of complaints, investigations, prosecutions and convictions of voter impersonation fraud during his service as Pennsylvania’s attorney general. The Nov. 1 response on behalf of Corbett was penned by Secretary of Legislative Affairs Annmarie Kaiser. Her letter provided no credible evidence. It was a non-response. Ms. Kaiser’s only example of voter impersonation fraud is a vague allegation of voter registration fraud. There is no indication in her letter if any alleged fraudulent registrations led to voting fraud or whether any one was prosecuted for such voter registration fraud. She also makes the dubious claim that the ‘prevalence of voter fraud has steadily increased in the Commonwealth over the past few years. In the absence of any solid information, Josephs replied back to Corbett, repeating her request for specific evidence. Considering that a law to require voter photo identification could cost Pennsylvania taxpayers more than $4.3 million — the low-ball estimate by the majority Appropriations Committee chairman – and will potentially disfranchise thousands of law-abiding Pennsylvanians, I would like to know specific examples of fraud. In the absence of any evidence of fraud, it is shameful for this legislation to be enacted. As attorney general, you prosecuted numerous public officials for using their offices with the intent to rig elections. House Bill 934 is an obvious attempt to rig elections in Pennsylvania. State Rep. Babette Josephs, D-Phila., said she is discouraged that House State Government Committee members are being asked to vote next week on Congressional redistricting legislation (H.B. 5) because it fails to list any specific geographic information of how the Congressional districts will be composed and the public has not been given the chance to comment on it. Josephs is the Democratic chairwoman of the House State Government Committee. Committee members were informed yesterday they would be voting on the bill Monday. She immediately wrote to her Republican counterpart on the committee, state Rep. Darryl Metcalfe, R-Butler, asking for a more transparent process, as well as the complete details. Earlier this year you and Senator McIlhinney held three hearings across the state in which you congratulated yourself for how open, transparent and inclusive Congressional reapportionment would be accomplished in this legislative session. If you were serious about openness, transparency and inclusiveness, wouldn’t it be wise to share the details of the plan including maps well in advance of a voting meeting and to gather public comment from interested parties and community leaders in no less than three public hearings? Earlier today Metcalfe canceled Monday’s meeting but rescheduled it for Wednesday, Dec. 7. Josephs said she assumes an amendment that provides the details she seeks still will be brought out at the last minute, like most of the legislation brought forward by the House Republican majority this session. The kicks and punches to democracy just keep on coming from Chairman Metcalfe and Republican Leader Mike Turzai. First, the Legislative Reapportionment Commission approves a preposterous preliminary reapportionment plan for state House and Senate districts that has been criticized across the state. Now, they’ll push through a Congressional map that the public will have little to no time to examine or provide input on how it will affect their communities. This is not democracy. It is dictatorship. Josephs introduced legislation that would require openness and fairness in the redistricting process. Her bill (H.B. 134) was referred to the House State Government Committee more than nine months ago but Metcalfe has not allowed it to be brought up for discussion, let alone a vote. Permit any Pennsylvania resident to submit reapportionment plans for legislative districts, which the commission would be required to consider. The commission would make software and demographic data available for use in developing such plans. Require the commission to hold public hearings to solicit public testimony from as many Commonwealth residents as possible. Five hearings would be held in different geographic regions of the state before the preliminary plan is developed and again before the final plan is voted on. Require the commission to set up a website for the data, the actual maps, hearing and meeting notices and transcripts and other communications. Require the commission to comply with the Sunshine Act and the Right-to-Know Law. My bill gives the public more of a vested interest in how legislative districts are drawn. The actions of the Legislative Reapportionment Commission these past several weeks, the inaction of Mr. Metcalfe on my legislation and this Congressional map shrouded in secrecy make clear the Republican majority is not interested in a transparent and open process. They should be ashamed. Josephs noted Metcalfe has yet to advance a single Democratic bill, while she, when she was majority chairwoman, advanced 28 Republican bills. See video courtesy of WGAL. State Rep. Babette Josephs (D-Philadelphia) said she thinks she knows why House Republican leaders abruptly ended session this week and set plans into motion to penalize House Democrats: bigotry. On Wednesday, House members were on the floor, ready to vote on several government reform bills, including several amendments that would address domestic partners of public officials and public employees under the state ethics and lobbyist disclosure laws, when House Majority Leader Mike Turzai abruptly ended session. He then called an impromptu meeting of the Rules Committee to reduce the number of Democrats in House standing committees by 10 percent and allow the majority leader to table any amendment to legislation arbitrarily for the rest of the 2011-12 session. Josephs said that she believes the Republicans are trying to keep from having to bring up any issues that run counter to their agenda and that is what caused these strong-arm tactics. “Upon reflection, I believe of all the amendments we put up for consideration only one or two really got stuck in the Republicans’ craw,” Josephs said. “Those had to do with extending prohibitions and disclosure requirements to domestic partners of lobbyists and state elected and appointed officials. Some extreme right-wing Republicans were in a quandary. If they voted against the amendments, they would be saying that a state representative, for example, could use his or her office to direct a contract toward a domestic partner and get away with it. That is hardly reform. If they voted for the domestic partnership amendments they would be legitimizing intimate sexual relationships other than marriage, and might, in words of one extremist, “advance the homosexual agenda. Josephs said the amendment process has been set up in the House so that the rank-and-file members had more input on legislation. In fact, her Republican counterpart in the House State Government Committee, Chairman Daryl Metcalfe, refused to consider amendments to these reform bills when they were reviewed in the committee, and told Josephs that Democrats would have the opportunity to offer them on the floor.